It's the start of a new age for WTOP, which bid adieu to its old Idaho Avenue location for a shiny, space-age pasture just up the street in Maryland. See photos and video of the Wisconsin Avenue newsroom. CHEVY CHASE, Md. — It’s the start of a new age for WTOP, which bid adieu to its old Idaho Avenue location for a shiny, space-age pasture just up the street in Maryland. It was bittersweet signing off from the old studio for a final time, but WTOP’s glimmering, state-of-the-art newsroom in Friendship Heights has all the technology and amenities Washington’s Top News needs to accommodate an expanding round-the-clock news operation. The new facility will be the first time in years that WTOP and its sister station, Federal News Network, have shared the same office space. Call it a family reunion. At 10 p.m. on Saturday, Feb. 2, 2019, 30 years of memories, journalistic history and free stuff on the magical “Football Table” came to an end at 3400 Idaho Avenue in D.C. — and it wasn’t exactly a slow news day. 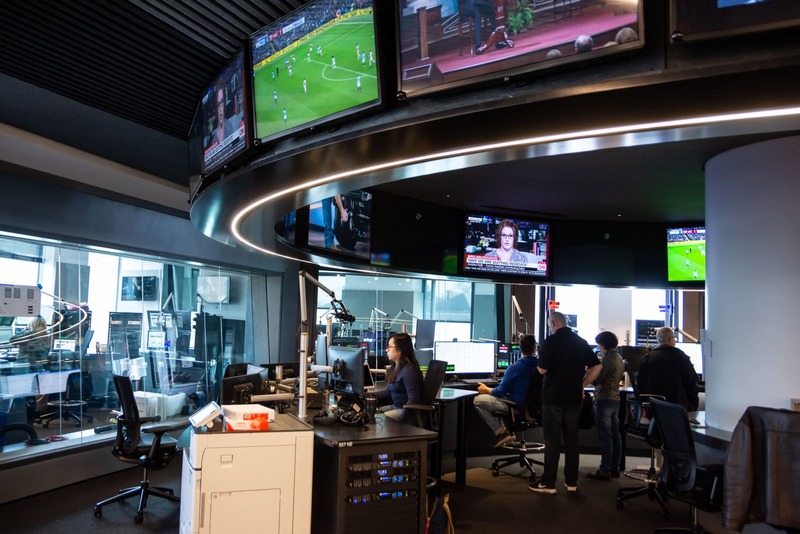 The move came as a result of WTOP’s growth over the years, and the new Friendship Heights space allows for all departments to finally live on the same, expansive floor, said WTOP general manager Joel Oxley. Take a behind-the-scenes tour of the Wisconsin Avenue newsroom in action below. Did I mention the electric convertible standing desks?